For over seven years I have learned what it means (still learning) to be an advocate for both of my children as we navigate the unexpected and thrilling world of a rare and chronic disorder, liver transplant, heart abnormalities, and autism. This role of “mamma bear” comes so naturally to me in a lot of ways. What is far less natural for me is the role of an advocate for my Self. I have completely lost myself in motherhood more times than I can count... and so, have been given countless opportunities to remember and reclaim my own truth. It is this very cycle of death and rebirth that I have learned to be the only constant within and around me. I have been relearning how to truly tune into myself and tend to all of me, making space for my own wholeness. I am called, again, to go deeper into this work for myself, and to create a healing space for others to join me. For the first time I am hosting an ONLINE Nurtured Woman Circle for Mothers of Children with Complex and Additional Needs. 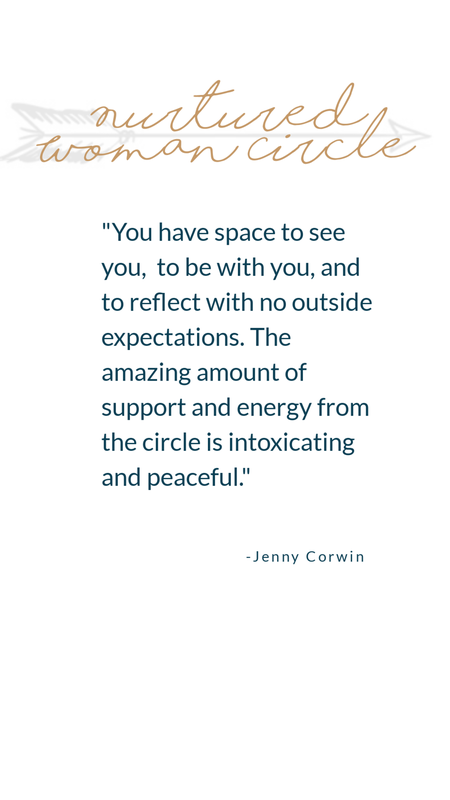 A Nurtured Woman Circle is a Sacred Space to practice tuning in and tending to our deeper selves as we journey back to ourselves and each other. It is a space for women to gather to remember and reclaim our own truth and essence. A space to practice meeting ourselves and each other where we are with deep compassion and tenderness as we relearn and practice truly nurturing ourselves so that we can care for others from a place of wholeness and authenticity. Space is limited to 8 participants. 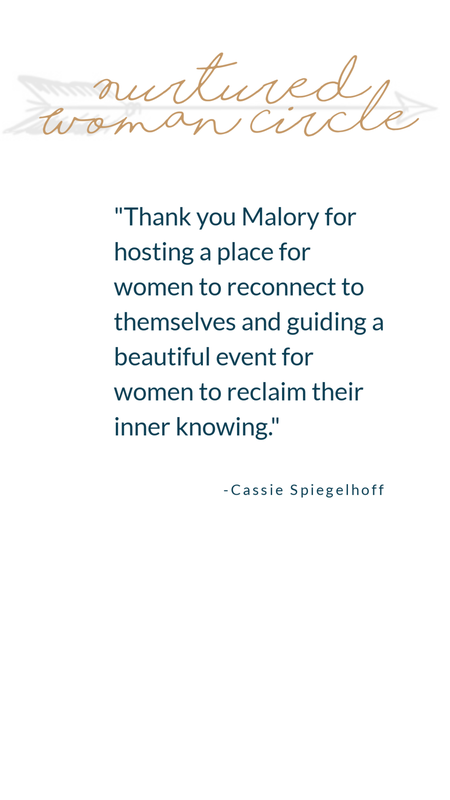 Please send a message to malory@authenticlivingcommunity.com to apply for a spot. A Journey Back to Ourselves and back to Each Other. Weakened by her own emptiness, she has no more strength left to pretend or put on a show. Dull, dry and disconnected, the shell of what was once a Woman retreats back to the forest. She aches to be held and longs to be seen. With each step she draws deeper into the trees dropping the pressures, expectations and shedding the layers, masks and stories. With each breath, the forest air quiets her mind as the warmth of the sun penetrates her skin and softens her hardened and well protected heart. She walks. Inhales. Exhales. Until her breath matches the the breath of the earth. Roots gently flow from her feet, and effortlessly secure her to the ground. Wrapping themselves tenderly around the roots from the ancient trees that surround her, the soil filters the lies and clutter from her precious body until only her original pureness and goodness shines through. Surrendering to her own sacredness, never before has she felt more alive. Deeply nurtured by the air. Until, at last, deep within her, a spark catches fire, erupts in her belly and spills over into her heart. Eagerly drinking in the air around her, each breath fuels the flame in her womb as it takes over her entire body. Releasing. She runs. Pushing her feet effortlessly into the forest floor, the energy of the earth flows into her feet as she is lifted into the air. Captured and engulfed by her own flame she is consumed by her own glorious and radiant light. Opening even deeper into the blinding pleasure that pours into and ravishers her body, she surrenders the final layers of resistance and love pours through. Reborn like a phoenix from her own ashes, she emerges with a familiar radiance, pureness and wisdom. She is who she always knew herself to be. Flowing like water and grounded in her own unwavering strength. She Is a Nurtured Woman.